Long-awaited sequel Vampire: The Masquerade - Bloodlines 2 has been announced and immediately shot up the Steam Top Selling list. The blood moon is high and Seattle's dark denizens are at war. It's time to return to one of gaming's most cherished worlds via the long-awaited sequel Vampire: The Masquerade - Bloodlines 2. Developer Hardsuit Labs and publisher Paradox Interactive shared an announcement trailer and a plethora of details for the upcoming title. To show how exciting fans are, the game is already near the top of Steam's Top Selling list. In Vampire: The Masquerade - Bloodlines 2, players will take on the role of the humans recently turned into a creature of the night during an unsanctioned Mass Embrace, thrust right into the battle between factions in Seattle. You're one of the witnesses, so you're going to be crucial to unraveling this mystery and you're going to have to choose a side along the way. Bloodlines 2 was announced at GDC 2019, where the dev team held a keynote. It has been a while since players got a taste of Vampire: The Masquerade - Bloodlines, but the original creative mind behind the game, Brian Mitsoda, is returning to write Bloodlines 2. Developer Cara Ellison, who's worked on such games as Grand Theft Auto 4 and Dishonored 2, will also be working with Mitsoda to bring a powerful narrative to life. Fans of the previous title should expect to see some familiar fan-favorite faces when Bloodlines 2 arrives. The Vampire: The Masquerade - Bloodlines 2 pre-order went live alongside the reveal of the announcement trailer. The First Blood Pack will net players early access and gear from "a darker, bloodier time." As of right now, the PC version is the only pre-order available and consumers can choose between Steam, Paradox Store, GoG, and Epic Games store. It's already #2 on the Steam Top Selling list and 24 hours haven't even passed. There are three editions of Bloodlines 2 available: Standard, Unsanctioned, and Blood Moon. The Unsanctioned version is the deluxe edition of Vampire: The Masquerade - Bloodlines 2 and includes the Unsanctioned Blood Pack, which features an art book, in-game dev commentary by Brian Mitsode, the Smiling Jack and Jeanette outfits, severed arm weapon skin, Sarcophagus Table, Damsel's Beret, Voerman Family Portrait, and Stop Sign item. The Blood Moon edition includes all of that plus the Season Pass for Bloodlines 2, called Season of the Wolf. The pass will give access to two story packs and an expansion. 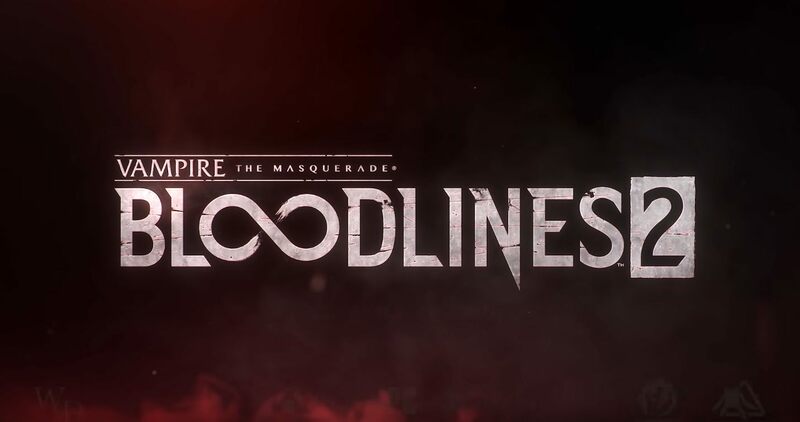 The release window for Vampire: The Masquerade - Bloodlines 2 is currently March 2020. Depending on how development proceeds, this could change. Stay tuned to Shacknews for additional gaming and tech updates. Until it switches to another platform as an exclusive.